Our classic original retro sweet hamper is packed with all of your childhood memories and makes the perfect gift or selfish sweetie treat for you! Quite how we managed to pack 27 different retro sweet varieties in here, we will never know but as lovers of the retro sweet, we know it was worth it to bring so much joy to your sweet tooth. 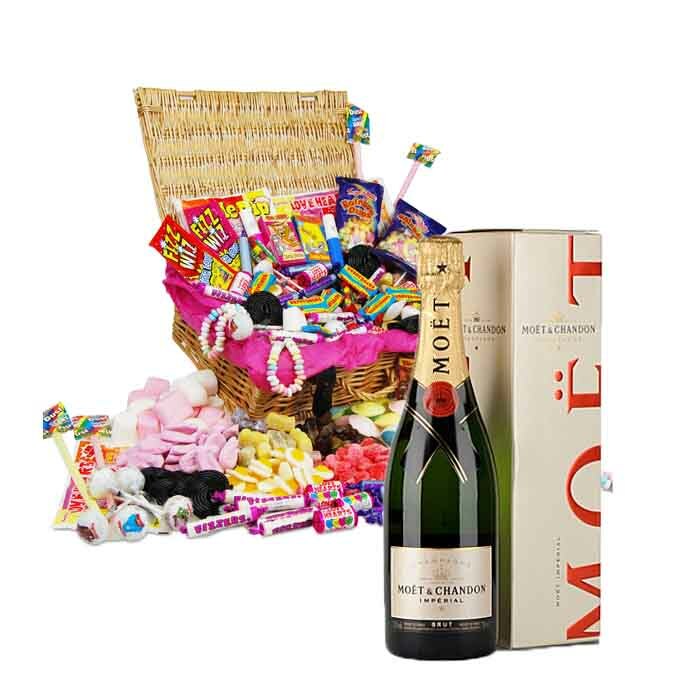 The sweets are presented in a beautiful hamper measuring 320x220x120mm and come complete with a personalised card for that final personal touch. 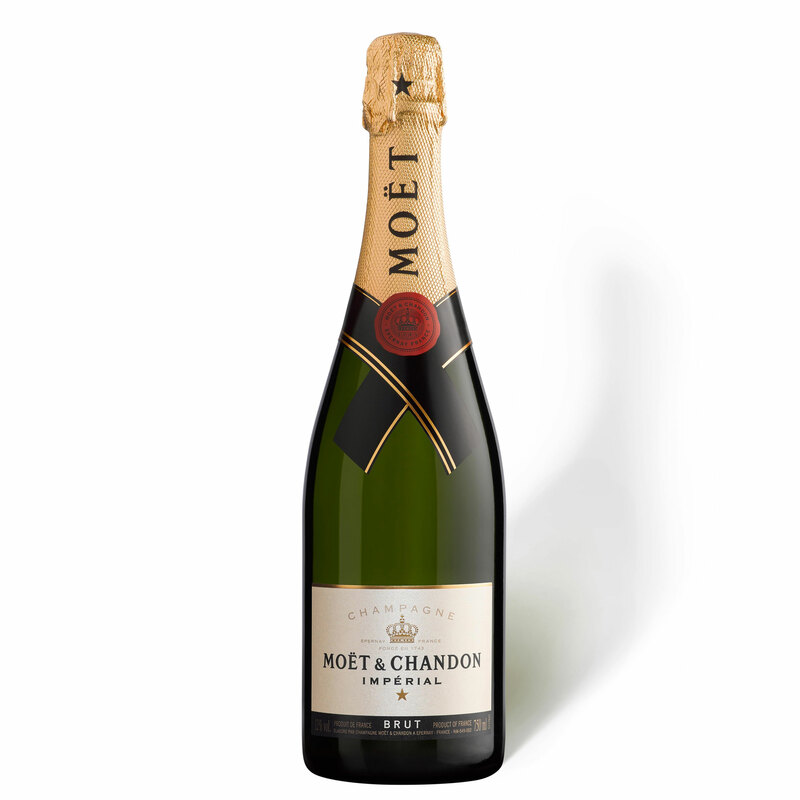 This Hamper comes with a Full bottle (75cl)of Moet and Chandon Brut.